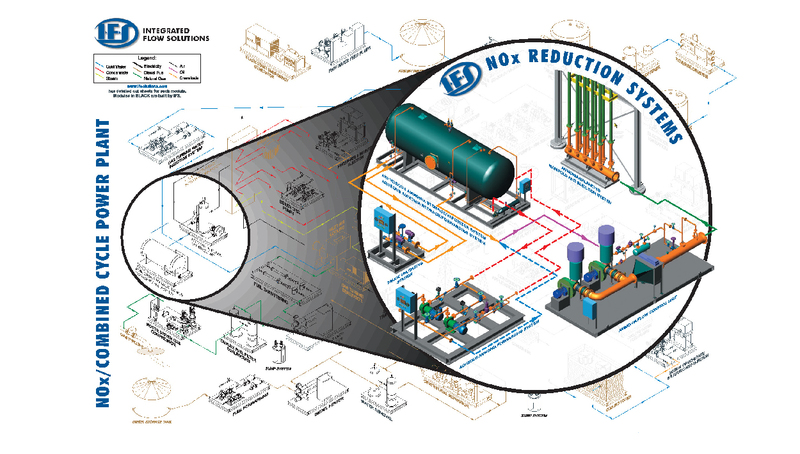 Integrated Flow Solutions Lease Automated Custody Transfer Systems are designed for accurate measurement and sampling of various hydrocarbon liquids ranging in viscosity from 2 to 5000 centistokes. 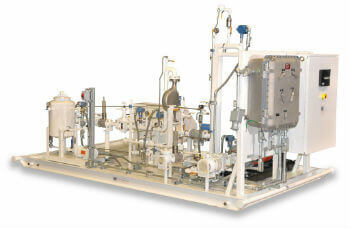 The complete LACT skid includes inlet basket strainers, air eliminators, Coriolis flow meters, back pressure control valve, suction/discharge piping, valves, instrumentation, controls, & is designed to minimize field assembly. DXP is a leading manufacturer of custody transfer measurement units and custody transfer metering skids. One of these measurement units is the DXP Multi Well LACT Unit. In this standard unit, oil flows from a storage tank to our charge pump, passing through the BS&W monitor that measures percent (%) sediment and water. From there, the oil moves to the highest point of the system to an air eliminator that removes any gases trapped in the oil stream. Fluid then passes through the static mixer that mixes the oil before a small sample is drawn into a sample container. Based on the percent of BS&W in the oil, a divert valve sends good oil through the meter or rejects bad oil to a bad oil tank. Good oil (acceptable percent of BS&W) passes through the coriolis meter with accuracies of 0.02 percent to meet API custody transfer specifications. Good oil can then be loaded into trucks ,tanks or pumped into a pipeline. DXP is the only LACT manufacturer that manufactures its own loading and pipeline booster pumps. Pumpworks, a DXP company manufactures a complete line of ANSI pumps & API pumps. DXP also distributes a wide variety of other OEM pumps to ensure we always provide the best pump for the application. DXP offers many PLC products and flow computers to meet the customer’s needs with in-house programming. DXP offers single source solutions for your measurement and pumping needs. Whether it be VFDs or the health of your systems, DXP offers Predict Plus on all of our pumps to proactively monitor the health of your equipment through our cloud-based system. As additional wells are drilled on the pad, DXP offers measurement solutions to accommodate up to six well streams with one LACT unit for oil and gas. DXP is the leader in multi well LACT units. 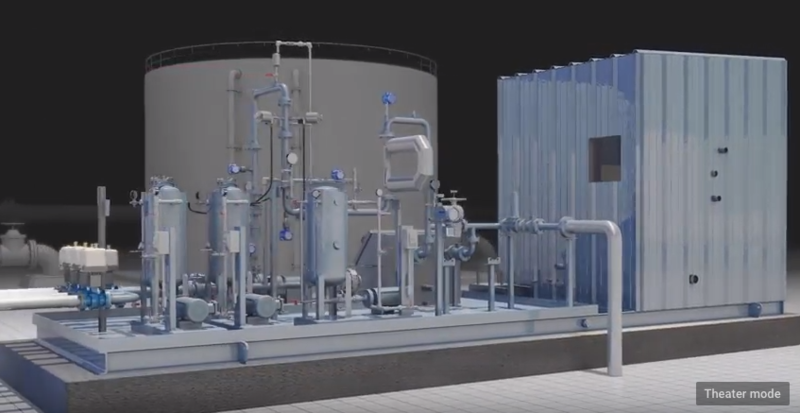 By monitoring tank levels of existing tanks with our PLC flow computer design package, we were able to automatically switch between tanks depending on levels, while keeping lease production data secure during the process. This allows our customers to use a centralized LACT system at their production site rather than a separate unit for each well. This saves valuable site space and reduces capital spend per well. Call DXP for your pumping and measurement needs. With over 180 locations in the US, DXP has service centers and start-up assistance throughout the oil and gas industry.